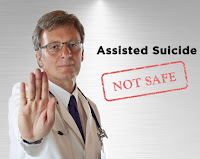 Euthanasia Prevention Coalition Euthanasia Prevention Coalition: Many assisted suicide deaths are slow and painful, not dignified or compassionate. Many assisted suicide deaths are slow and painful, not dignified or compassionate. The release of the data from the recent 2018 Oregon DWD report indicates that some Oregon assisted suicide deaths were long and drawn out, but the report doesn't provide data on the suffering associated with these deaths. This article examines the suffering experienced while dying. According to the 2018 Oregon assisted suicide report. There were 168 reported assisted suicide deaths up from 158 in 2017. 11 of the deaths, the lethal drugs were prescribed in previous years. The time of death ranged from 9 minutes to 14 hours. When dying from DCMP2, death took an average of 2 hours, with the longest time taking 21 hours. Recently I published the article - assisted dying can cause inhumane deaths that was based on research by Professor Jaideep Pandit as published in the British Medical Journal. Pandit researched complications with deaths by assisted suicide and capital punishment. difficulty in swallowing the prescribed dose (up to nine per cent) and vomiting in 10 per cent, both of which can prevent proper dosing. The recently released 2018 Oregon DWD assisted suicide report indicates that the longest duration for death was 21 hours and when the DCMP2 lethal drug cocktail was used the average death took 2 hours. 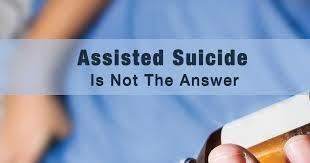 The Oregon assisted suicide report does not report the extent of suffering caused by assisted suicide drugs. An article by JoNel Aleccia published by Kaiser Health News on March 5, 2017 examined the experiments by assisted suicide activists to find a cheaper alternative drug cocktail for assisted suicide. Research into a new death drug cocktail began after Seconal became too expensive and Pentobarbital became unavailable in the US. The lethal drug cocktail experiments were done with human experiments. Even though people suffered greatly from the lethal cocktail, the drug experiments were done on 67 people. An article by Jennie Dear published on January 22, 2019 in the Atlantic reports on the development of the lethal drugs cocktails. In 2016, a small group of doctors gathered in a Seattle conference room to find a better way to help people die. They included physicians at the forefront of medical aid in dying—the practice of providing terminal patients with a way to end their own life. And they were there because the aid-in-dying movement had recently run into a problem. The two lethal medications used by most patients for decades had suddenly become either unavailable or prohibitively expensive. In Washington, an advocacy organization called End of Life Washington briefly advised prescribing a drug mixture with the sedative chloral hydrate to about 70 patients. “We know this is going to put you to sleep, and we’re pretty sure it’s going to kill you,” Robert Wood, a medical director at the organization, says they told the patients. It worked, but with a tragic catch: In a few cases, the chloral hydrate burned people’s throats, causing severe pain just at the time they expected relief. The first two deaths went smoothly. But the third patient, an 81-year-old with prostate cancer, took 18 hours to die. So this is how the assisted suicide lobby developed the lethal drug cocktail DDMP2, referred to as DCMP2 in the 2018 Oregon DWD report. The assisted suicide promoters and practitioners developed the lethal drug cocktail by doing human trials rather than animal trials first. The team appeared concerned with the lethal efficacy and cost of the lethal cocktail as opposed to the possible negative consequences with the use of these drugs. 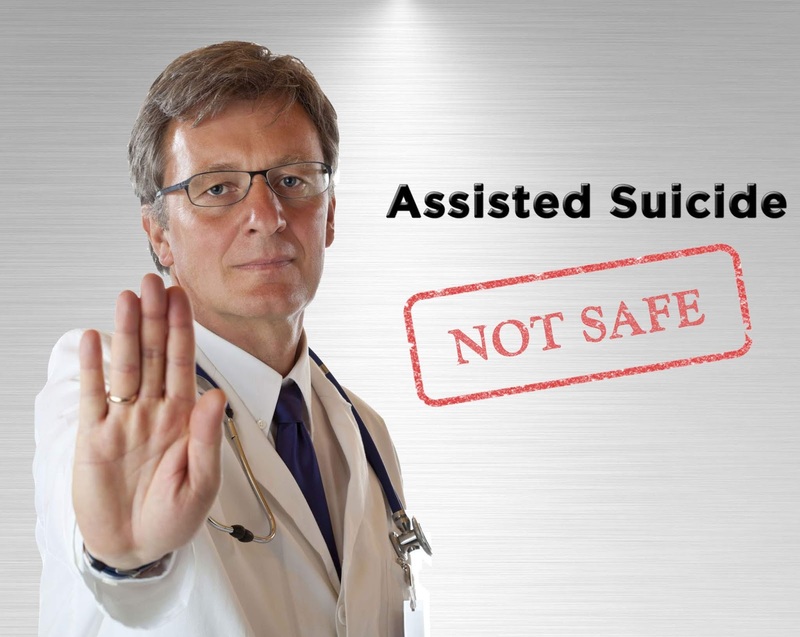 Before legalizing assisted suicide, legislators need to know how it is done, the negative consequences associated with these drugs and the ethics related to the development and use of these drugs. So much for dying with compassion and dignity.